Ships tomorrow if you order in the next 22 hours 32 minutes. A little too much sun can feel like way too much as soon as you try to lay down and go to sleep. 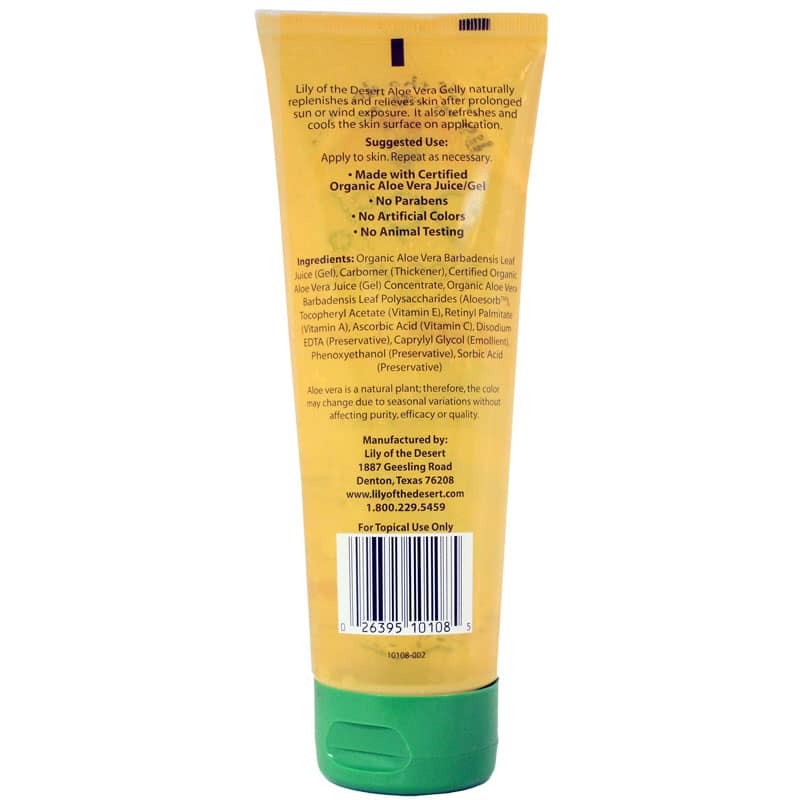 Hot, sore, tender skin needs gentle but rapid relief. 99% Aloe Very Gelly from Lily of the Desert contains aloe vera gel, Aloesorb polysaccharides, and vitamins A, C & E to help soothe, cool, hydrate, nourish and replenish skin after prolonged sun or wind exposure. Aloe Vera has been treasured as a medicinal plant for thousands of years. Native to hot, dry climates, this succulent plant with spiky leaves is filled with a soothing gel that has been long-valued for its skin nourishing, cooling properties. 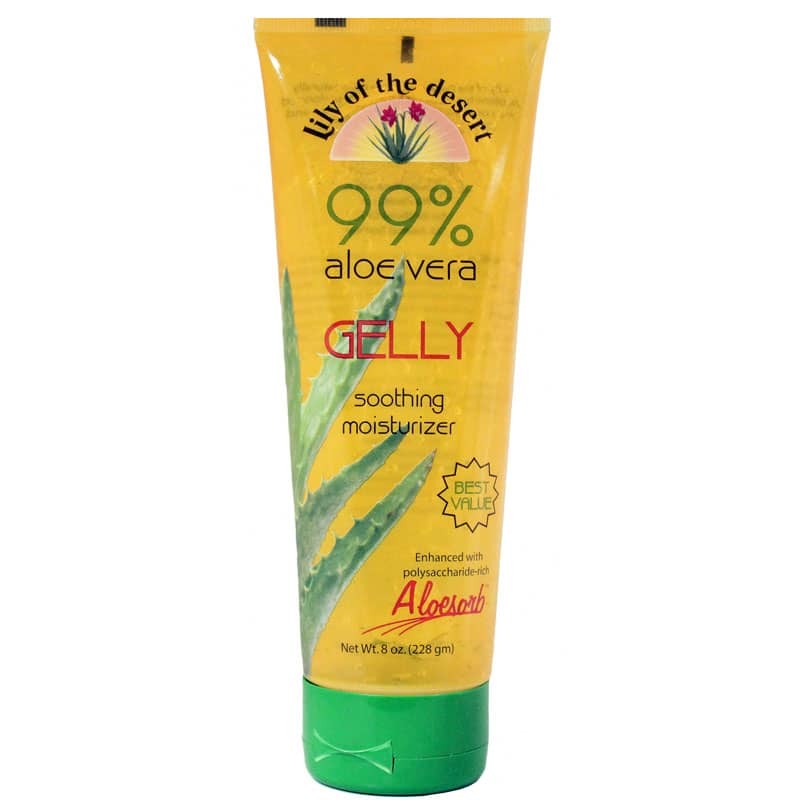 While many aloe products contain only 1-10% real aloe, this gelly contains 99% Aloe for optimal skin-health benefits. It also contains Aloesorb, a concentration of aloe polysaccharides, which may aid nutrient absorption into deeper layers of the skin. This certified organic aloe vera gelly is great to keep on hand for calming skin after too much summer sun or those biting winter winds. Order yours now! Apply to skin. Repeat as necessary. For topical use only. Product is excellent for my skin, especially with too much sun. I use Lily of the Desert Aloe on my skin and hair. That along with a small amount of coconut oil make them feel soft and my husband loves the way I smell!